Stephen Williams gives us a breakdown of how the Liberal Party works and why it's not the ideal party to govern our nation. THE LIBERAL PARTY was formed in 1944 from anti-Labor groups, with Robert Menzies as its champion. It represents conservatives in general, but especially the wealthy and mercantile class. Since these people own the country, they think it is only fair that they run it. The Liberal Party is business-focused and this can be seen from its website homepage where “a stronger economy” is its first message. Its main factions are the moderates – who are only half mad – and the hard Right, who are totally bonkers. The hard Right are extreme neoliberals who have increasingly exerted themselves since the 1980s as the contest between labour and capital has escalated. Capital has won this contest hands down — such is their cunning and ability to buy influence. Those who criticise capital and its extreme profits are obviously engaged in the “politics of envy”. Rupert Murdoch said he had to go. 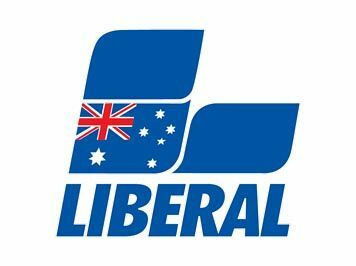 The Liberal Party can be seen as the political wing of the Institute of Public Affairs (IPA), which is one of the think tanks that tells the party what to do. The party also takes instruction from the Minerals Council and other business groups, such as the Business Council of Australia. The IPA are libertarians, who use the word “freedom” a lot, which basically means they want free reign to engage in scorched-earth business practices without government interference. As an example, the IPA is a leader in climate change denial, because climate change regulations, in its eyes, would be bad for business (much like smoking regulations are bad for the tobacco industry). The Liberals believe they are the best managers of the economy. At every election they will try to scare the electorate with a doomsday scenario if Labor was to win government. This is rather funny, because Labor has been tricked into following most of the mad neoliberal agenda. Economic management is a difficult thing to measure, but if it means destroying the natural environment as quickly as possible, then the Liberals have no peer (if we ignore the Nationals). The Liberals’ economic agenda (neoliberalism) can be summarised as a harking back to the good old days of the 1920s, when people knew their place. Business should be allowed to run government and therefore the country, while everyone else does what they are told. That, after all, is the natural order, as vouchsafed by the monarchy and the class system. Those who don’t like the class system are, of course, socialists who would have us queuing up for our breakfast with ration cards. That’s why Tony Abbott, as one of his first utterances on becoming Prime Minister in 2013, announced that Australia was now “open for business” (because Australia is a business, not a society). Another urgent matter was to reintroduce knighthoods and give one to Prince Philip — in other words, reinstate the natural order. So, government should, in some ways, simply be an arm of business, or exist to facilitate profit-making. This will usually mean privatising the profits while socialising the losses of business. That is why we need these new-fangled “free-trade agreements” where governments can be sued by corporations if the government does anything to impede profits (investor-state dispute settlement). For goodness sake, how can there be trickle down of wealth (and I mean a trickle) if business cannot make a reasonable profit without all this government red tape? For the Liberals, governments tend to impede the beautiful and efficient workings of markets. Markets will always provide the best outcome, such is their perfection, if only governments would learn to leave well enough alone. On the other hand, governments can be useful with the right subsidies to reward valiant entrepreneurs. Privatisation is another key concept for the Liberals, because the private sector knows how to establish efficient markets for the supply of services, be it electricity, employment, housing — you name it. Insofar as some people complain about the cost of electricity, the lack of jobs, or a lack of low-cost housing, the Liberals know who is really to blame. That’s right — past Labor governments and the unions. We need more privatisation, not less. The sooner we get water and air privatised, the better. But as for dole-bludgers – I mean the unemployed, to use the politically correct phrase – these people would not work in an iron lung. They are bleeding the hardworking taxpayer dry with their incessant demands for handouts (so it's no wonder corporations refuse to pay tax). That’s what you get when you pamper people with too-easy welfare. Meanwhile, fruit is rotting on the trees for want of harvesting. The Liberals – never short of good ideas – reckon the South Sea Islanders would love a fruit-picking visa and you have to wonder what the hold-up is. Actually, you don’t have to wonder — it's more government red tape! If the unemployed insist on choosing leisure over work, that is their affair, but the Liberals don’t believe they should be rewarded for such a choice. I mean, if they don’t want to go to the country to pick fruit, how hard is it to get a squeegee and a bucket of water and clean windscreens at a set of traffic lights? The Liberals also have enlightened policies on border protection and national security, with Minister Peter Dutton being the top cop on the beat. We sleep safe in our beds because of his eternal vigilance — not that he gets many thanks. And we don’t need to worry about conditions on Nauru, because Tony Abbott reckons it’s a very pleasant island with top healthcare. Rumour has it that he might be planning a long holiday there if he loses his seat of Warringah at the next election. Stephen Williams writes mainly about politics, economics and the environment.